When most people think bread pudding, they think sweet and dessert-y. And it's delicious. I'm a fan. 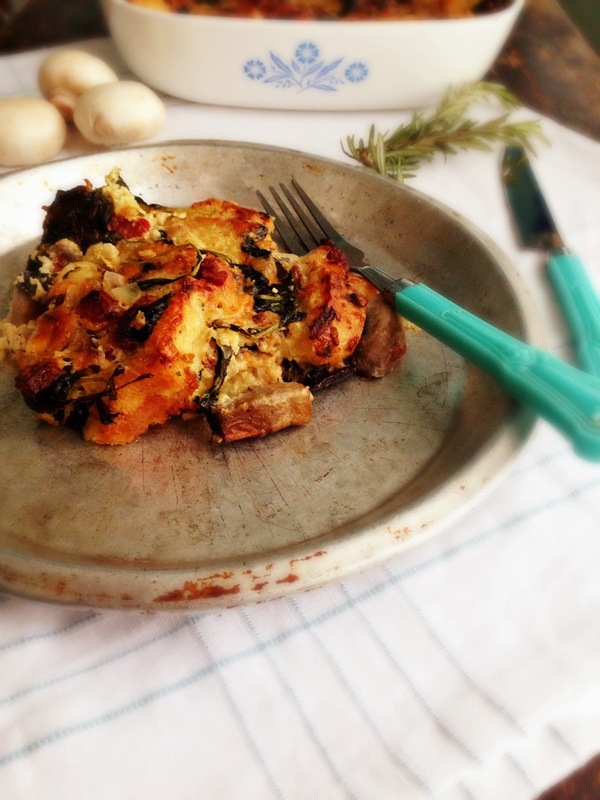 But I'm also a huge fan of the savoury bread pudding, you know, with vegetables and cheese and meat. Same premise, but instead of dessert, it can be a side dish or even prepared for brunch. 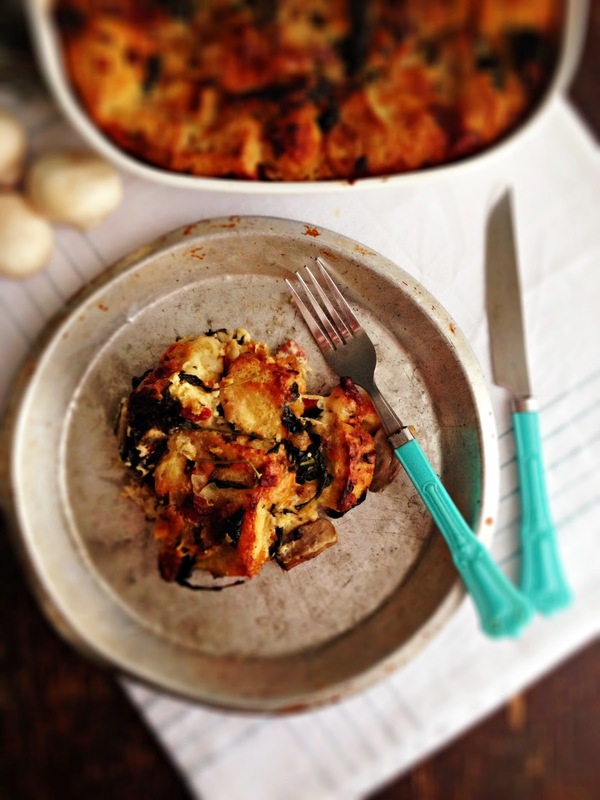 Heck, this mushroom and kale bread pudding I created for the Mushrooms Canada blog was so good I ate a giant portion for supper. Because bacon and mushrooms were always meant to be together. And those crispy edges - oh man. Don't get me started. With the holidays just around the corner, and I mean just, this is a good little recipe to have in your back pocket, if you want to switch up the sides or wow your fam at brunch, after all of the presents have been opened and the coffee and Baileys are flowing freely.